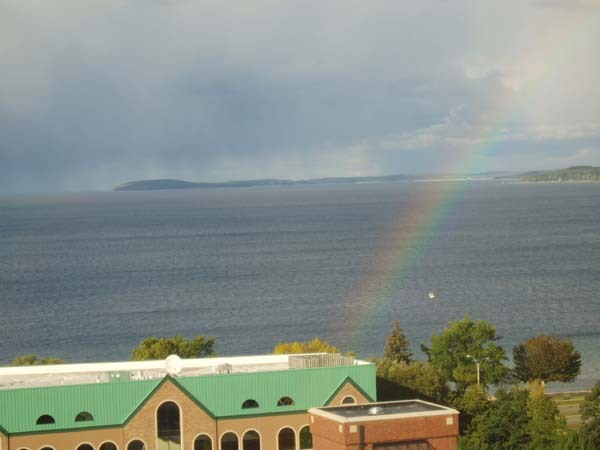 Here's another rainbow that I did manage to get a picture of, also over Traverse City and Grand Traverse Bay, Michigan. 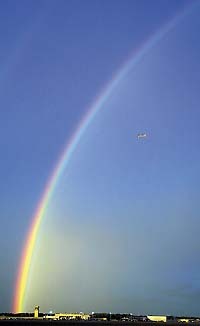 And here's the dramatic sunset that was happening in the west when the rainbow was in the east! 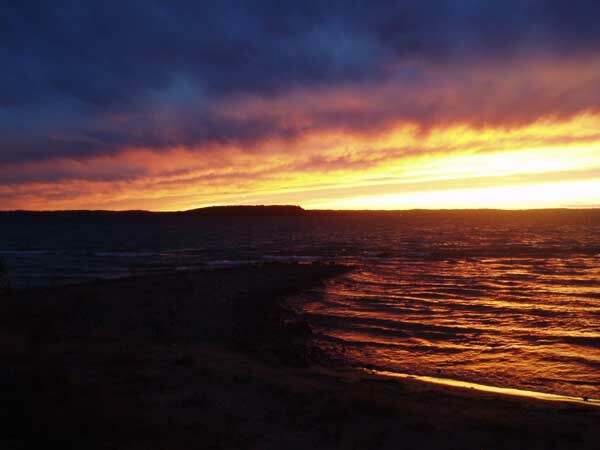 I managed to take a photo of this when I finally got back to my cottage, and just captured the end of it. Gorgeous!